Boating can be extremely relaxing, but it can also be extremely risky… Whether you are an avid fisherman trying to get to those hard-to-reach fishing hot spots or are simply one who enjoys being out on the water with a nice cold drink, things do not always go according to plan. It is important to remember that once you get on that boat, you are not entirely in control of your own destiny. Mother nature takes the reigns and has a good say on what will happen to you and your boat. Heavy rain, high-speed winds, flooding, storms and lighting are the most common weather hazards for boaters. These can all wreck havoc on your trip and may even have a shot at sinking your vessel. For the boater, poor weather conditions equal a loss of control. Huge amounts of rainfall can flood your ship while fast winds can direct you straight into submerged objects like submerged logs or even other boats. These types of incidents can also occur due to negligence, whether that be yours or another boater’s. Boat collisions and accidental damage while cruising result in numerous boat insurance claims each year. Boats are expensive. If you have one, chances are there is someone out there with their eye on it. The equipment that goes with them is also pretty pricey. Fishing gear and tackle can easily exceed several thousand dollars. Theft is not uncommon when it comes to boating, and it can happen while you are anchored or in storage. Thieves target anchored boats during the summer months. Give yourself the best chance of avoiding theft and equipment loss by being proactive and taking care of your materials. Ensure all expensive supplies are out of sight and if possible, take them with you when you leave the boat. Make sure that all boating equipment such as oars, anchors, motors and life rafts are properly secured to the boat. Do not leave anything valuable on the deck because when you return from your trip, it might not be there anymore. If within your budget, prepare for your expeditions with safety equipment. Some, such as life jackets, air horns, and survival kits are cheaper. Others are more expensive… Sonar devices, EPIRBs (Emergency Position Indicating Radio Beacons), and PLBs (Personal Locator Beacons) make up this list. Following all of these tips will give you the best chance of avoiding trouble on your next sea voyage. However despite your best efforts, bad weather and accidents are ultimately unavoidable. Storms and water do not mix well- but that’s what we’re here for. 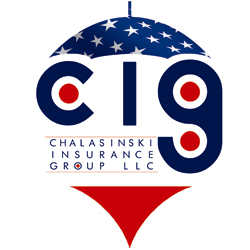 At Chalasinski Insurnace Group (CIG), we strive to give you the best insurance coverage in all of Ohio. Call CIG President Tom Chalasinski at 440-838-5383 for more information about boat insurance and general insurance coverage. We look forward to hearing from you and satisfying all your needs!